Certified personal organizer Amy Trager reveals that it all comes down to your itinerary. Write down all activities you know you’ll be doing. Salsa dancing? Put your dancing shoes and a sassy dress on the list. Visiting a nature preserve? Jot down your comfy shoes and bug spray. From there, you can fill in the blanks, taking into account how many days and nights you’ll be away. Amy suggests using space-saving devices like vacuum-seal bags, or the Pack-It system by Eagle Creek. Each Pack-It item—from folders to cubes to sacs—compresses clothing into the smallest space possible while keeping them wrinkle-free. 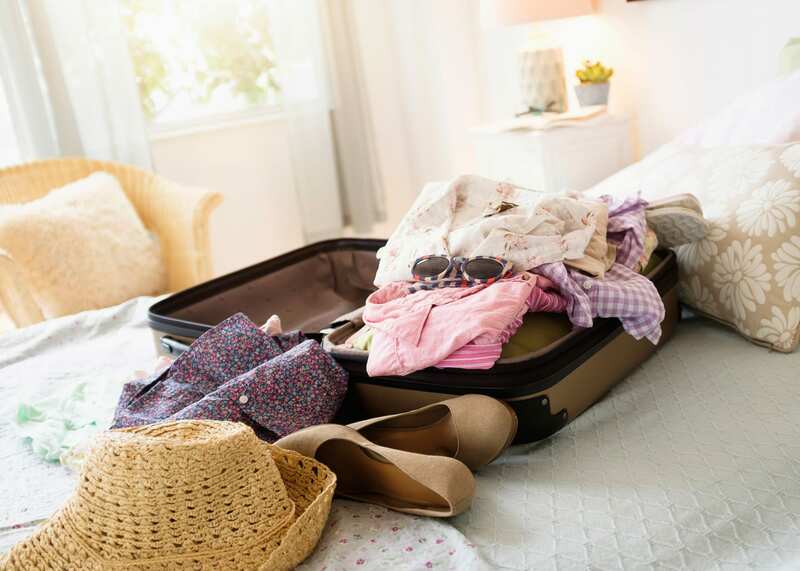 “They’re meant to create more space in whatever piece of luggage you might be bringing with you—duffels, backpacks … they create more space for things that aren’t clothes,” she says. You know what that means … more room for shoes! Now here’s where you can get creative. Marcy Gordon, editor of Leave the Lipstick, Take the Iguana: Funny Travel Stories and Strange Packing Tips, brings her own pillowcase with her, but also uses it to store her dirty clothes on the way home. Another tip we love? Bring your own refillable water bottle to save money on bottled water. Genius! We’ve all done it—that random baseball mitt or the three seasons of Friends we stuff into our suitcases just in case we have some down time. But it’s smart to be realistic, and only pack the items you’ll need. Besides, that will leave you some more room in your luggage for some souvenirs!